Winter or summer, stay in one of our hotels at the heart of the Tremblant’s pedestrian village and take advantage of various free activities! Be first to carve the fresh snow of the North Side every day of the ski season as you hop on the lifts 45 minutes earlier than the general public! Enjoy the ice rink by the St-Bernard Chapel with free ice skate loads every day from 1 p.m. to 9 p.m. for guests staying at participating hotels. 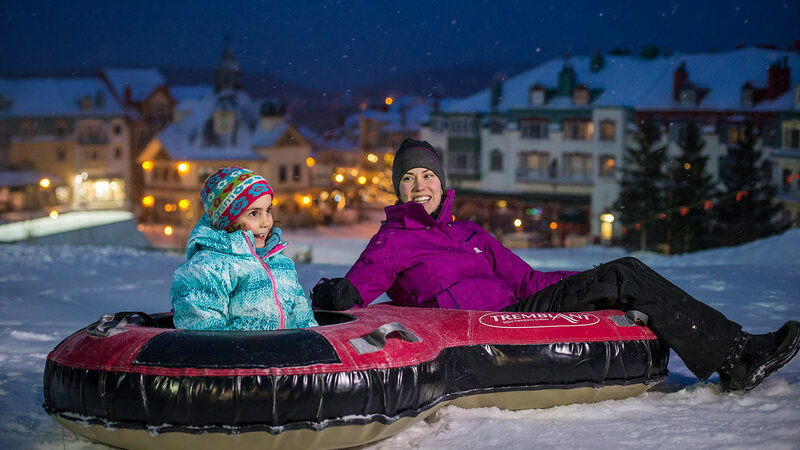 Enjoy the slopes in the evening with tubing for the entire family! Guests staying in one of the Tremblant Lodging Privileges participating hotels enjoy free access to the tubing slopes in the evening. Activity open to kids 4 and over who are at least 90 cm tall (3′). For safety reasons, children cannot sit on an adult to slide. Children 13 and under must be accompanied by an adult; one person per tube max. 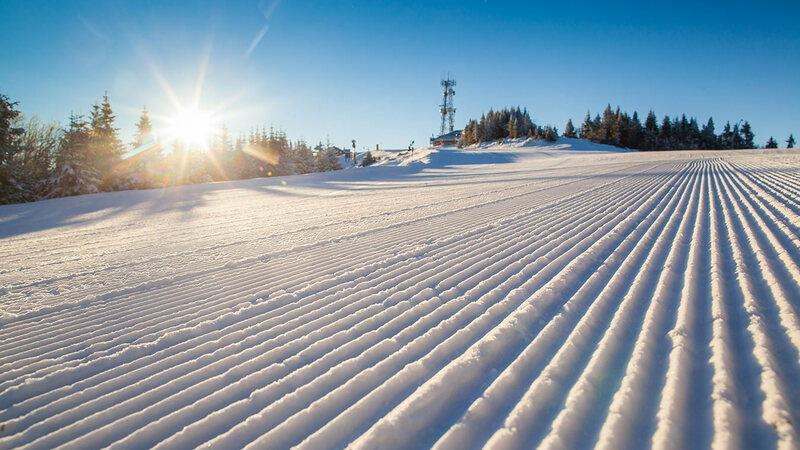 Free for guests staying at Tremblant in participating hotels: Ermitage du Lac, Holiday Inn Express & Suites Tremblant, Bondurant, Lodge de la Montagne, Place Saint-Bernard, Sommet des Neiges, Tour des Voyageurs, Westin Resort & Spa Tremblant. Certain conditions apply. Access tickets will be available for guests upon arrival at the front desk of the hotel. Please note that Lodging Privileges tickets cannot be obtained at our Guest Services Desk or tickets offices. Living Tremblant to the fullest includes enjoying the mountain! In just a few minutes, the Panoramic Gondola leads you to the summit, giving you access to a breathtaking view of the Laurentians and to an array of attractions! Free and unlimited forguests lodging at Tremblant in participating hotels, for the duration of their stay. Days of arrival and departure included. Free for guests statying at Tremblant in participating hotels: Bondurant, Lodge de la Montagne, Place Saint-Bernard, Sommet des Neiges, Tour des Voyageurs. Certain conditions apply. Access tickets will be available for guests upon arrival at the front desk of the hotel. Please note that Lodging Privileges tickets cannot be obtained at our Guest Services Desk or tickets offices. Over the past few years, Les Suites Tremblant has implemented green practices in all its hotels. Our Green Program, allowing guests to decline housekeeping, is another measure aiming at reducing our environmental footprint. Recycling bins were installed in all units, gas fireplace controls were equipped with timers and we are now using environmentally-friendly cleaning products. We are inviting you to take part in these efforts! Adhere to our Green Program during your stay of two or more nights, and save! Hang your Green Program door hanger on the outside of your door before 9 p.m. to decline our room cleaning services for the next day. To thank you, Les Suites Tremblant will deduct $5 from you room bill or give you a $6 gift card redeemable at the Magasin Général for every night you choose to participate in the program. And for our hotel banner, The Westin, Les Suites Tremblant will offer guests either a 5$ discount on your room night or a 5$ coupon exchangeable at the hotel restaurant, The Gypsy. Please note that this program does not apply to the last night of your stay. This program is not available for groups.